Hibiscus tiliaceus is called hau here. This large shrub was growing at the Golden Ponds of Keawaiki, which is a little oasis in a wasteland of lava. 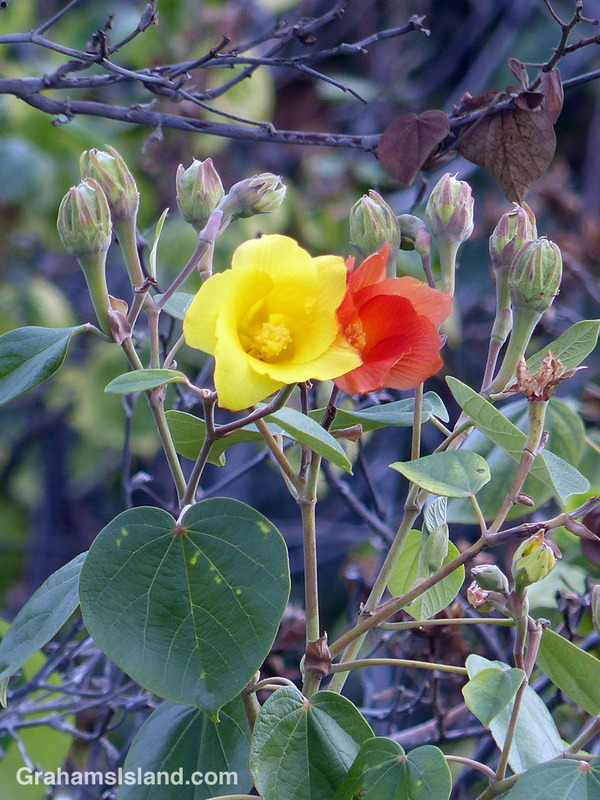 The different colored flowers, on the same plant, occur because the flowers only last for a day. They start out yellow and turn to red or orange as the day progresses.